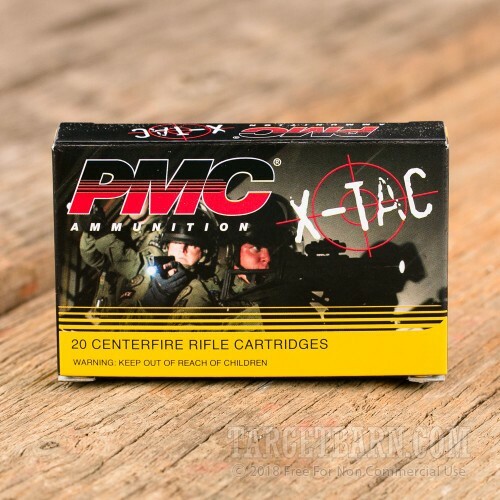 If you like to shoot mil-spec ammunition in your AR-15 or other 5.56 NATO/.223 Remington rifle, try this affordable range load from PMC. 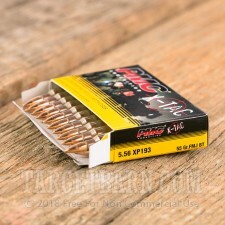 These cartridges are loaded to the M193 standard and packaged in boxes of 20. 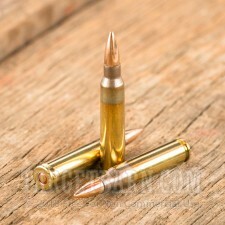 Each round fires a 55 grain full metal jacket bullet at 3,240 feet per second, producing the same ballistics as ammo from Lake City and other manufacturers of M193 ball. 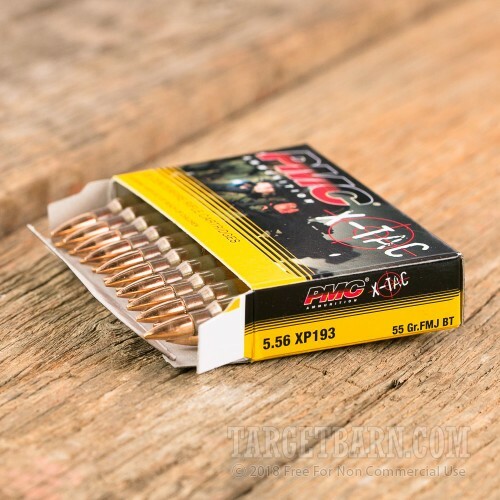 This ammo uses non-corrosive primers and reloadable brass cases with intact annealing marks. PMC cartridges are made in South Korea by defense contractor Poongsan, one of the world's largest munitions companies.